With over 25 years of customer service and management experience in various industries, both locally and overseas, Sandra is an integral part of the Property Management team and usually the first point of contact for new clients. 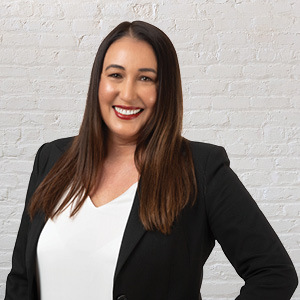 She believes the most important thing is to be able to connect with clients, have the ability to listen, and tailor the service in order to effectively deliver on what is most important. Sandra brings with her experience a positive attitude, market knowledge, great attention to detail and a drive to provide the continuation of the excellent customer service Abel McGrath is renowned for. Sorry, there are no testimonial available. Fabulously spacious inside and surrounded by low maintenance gardens, this gorgeous 3 bed 2 bath unfurnished home is perfectly placed on a quiet tree lined street and close to just about everything! The love and care that has been put into this drop dead gorgeous home is evident everywhere you look. From the manicured gardens to the pristine interior, and all those little touches that make a home a home. Step inside this gorgeous 2-bedroom unfurnished home and immediately start planning your furniture placement. You will be greeted by a large open plan living space, warm wood look flooring, high ceilings, and Neutral décor. That's right living will be so easy once you secure this beautifully presented unfurnished home. Are you looking for style, location and space without the hassle of a garden? Then this New York style mezzanine unfurnished townhouse is for you! This fabulous ground floor apartment is streets apart from the rest. Filled with lots of natural light and the warmth of floating floorboards you will be the envy of friends and family once they see all the features of your new home.